When it comes to getting your carpets clean, we bring more than 30 years of experience to every home. We’ve got all the latest and best products to get out the toughest stains. At ServiceMaster By Williams, we set the standard for clean for other restoration companies and carpet cleaning companies to follow. We use state-of-the-art products and equipment to provide effective carpet and upholstery cleaning services. We service homes and commercial businesses alike and can provide these services on a routine basis or as a one-time service as your needs dictate. When it comes to your home, you have an high expectation of cleanliness from a carpet cleaning company. There’s no higher level in the industry than ServiceMaster By Williams clean. We set the standards for carpet cleaning that all others follow. Clearly, your carpet gets a workout. With all the traffic, your carpet can get pretty dirty fast. Call us and we’ll give your carpet a cleaning you’ll love and extend the life of your carpet. 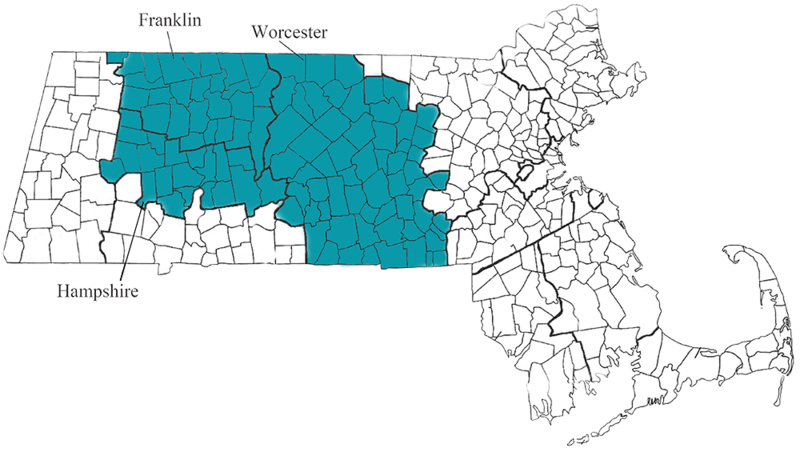 The ServiceMaster brand has been around for more than 50 years, and our franchise has been in business more than 30. In that time, we’ve worked hard for our stellar reputation. We bring experience, integrity and quality to every job. Plus, we have the latest products and technology to use for every carpet cleaning job. We’re the carpet cleaning company that’s cleaned the worst. Give us a call today. After a thorough conversation with the homeowner, we’ll begin cleaning your carpet with some pretreatments. This varies depending upon the carpet type and presenting issues in the carpet. There may be stains we need to address or soiled spots, etc. that we’ll want to begin treating before we vacuum. We’ll provide a deep vacuum process to your carpets. 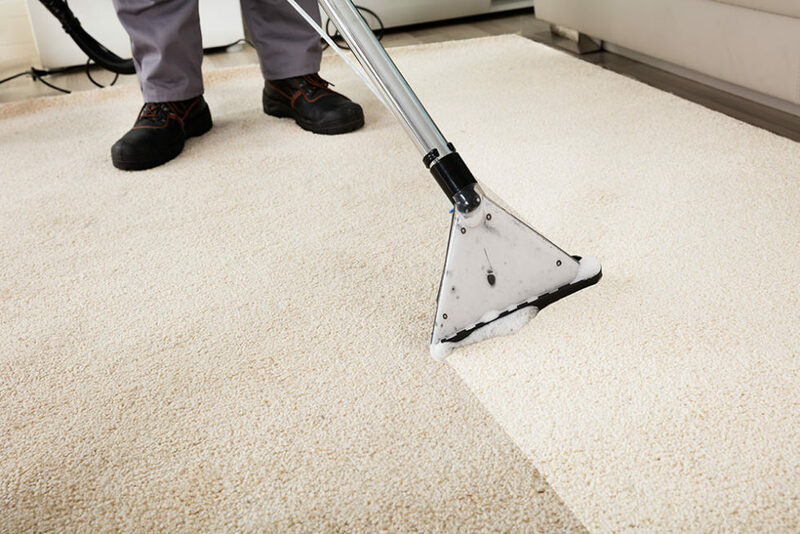 From there, we’ll provide a hot water extraction that helps pull up dirt, dust and other debris from your carpet. This process fully treats your carpets and leaves them fresh and clean without any cleaning residue. It can be tempting to try to save money and rent a carpet cleaner to do the job yourself. The problem is that any carpet cleaning rental equipment is vastly different from the equipment we use at ServiceMaster By Williams. 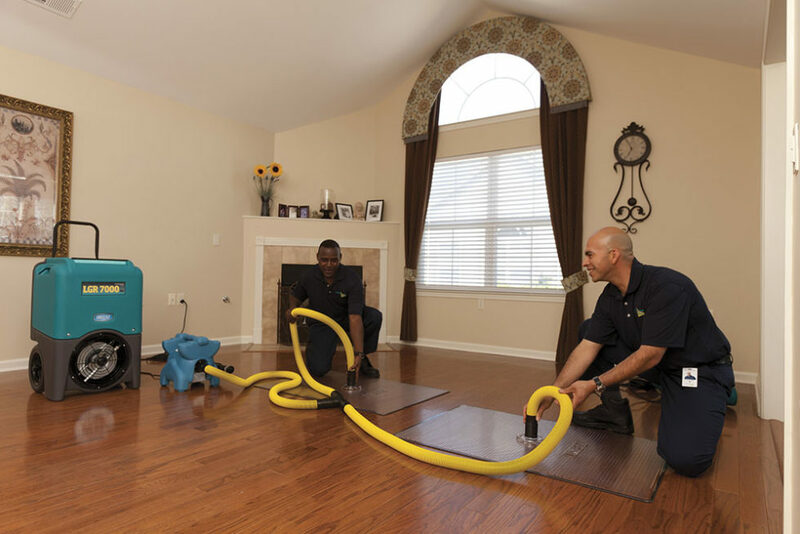 Plus, we have trained technicians that receive some of the best training on carpet cleaning techniques in the industry. This means our staff knows what products work best on different types of carpets and stains. The risk is that with rented carpet cleaning equipment, it’s built for a one-pass treatment of your carpets which usually isn’t enough for a deep cleaning. Also, there is rarely any pre-treating of your carpet when you do the job yourself. There’s also a risk of over wetting the carpet or leaving behind a soapy, sticky residue. At ServiceMaster By Williams, we use the right cleaning process for your carpets to not only ensure a deep cleaning, but no detergent or residue behind. When it comes to making a great first impression on your customers, cleanliness is vital. 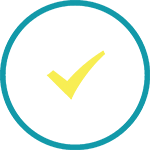 This means everything we can clean in your home means even more in your business. At ServiceMaster By Williams, we have everything we need to give your workplace the feeling of clean that helps win over your next customers. We specialize in large carpet cleaning projects for business owners that have a lot of carpet like hotels, conference centers, etc. We can tackle any sized commercial facility. With our experience and technology, you’ll be impressed at how we bring your carpet back to life. 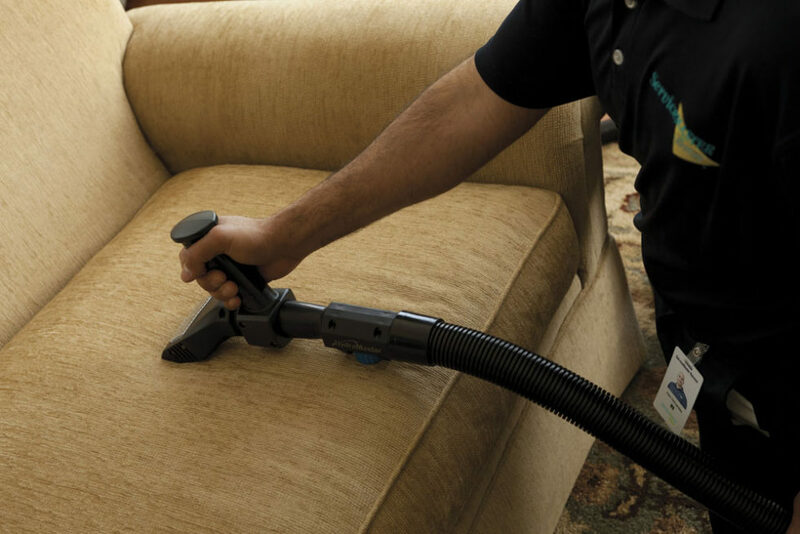 Cleaning your upholstery helps prolong the life and look of your office furniture. ServiceMaster By Williams offers a regular scheduled cleaning that helps keep your workplace looking its best. With our up to date equipment and most effective cleaning products, we can clean your upholstery quickly, efficiently and exceptionally well. We will pre-treat, clean and dry your sofas, chairs, fabrics and office furnishings. 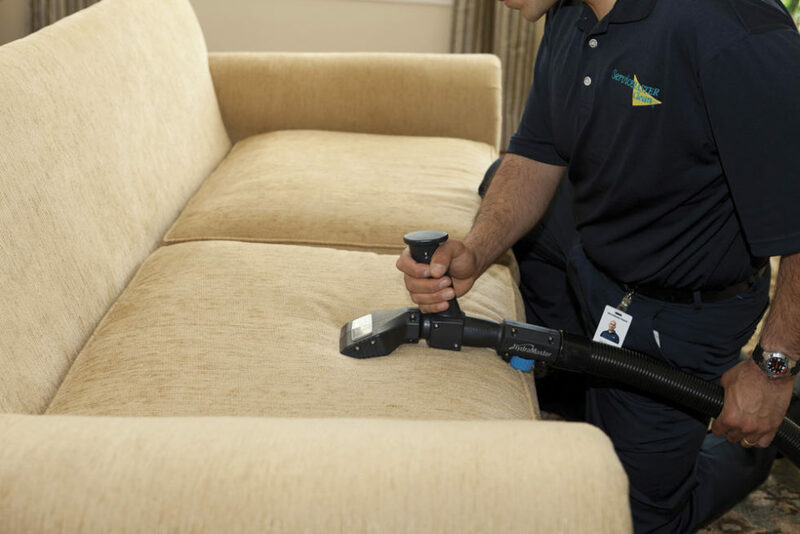 Contact ServiceMaster by Williams to tackle your toughest upholstery cleaning challenges in your office today. When you need your carpets, floors or upholstery clean, know that you can rely upon one of the most trusted brands in the cleaning business. ServiceMaster By Williams is always here to help your building look the best. Call us today. We’ve cleaned literally hundreds of millions of square feet of carpet in our time. Along with thousands of customers over the decades, our experience along sets us apart from other carpet cleaning companies. Plus, we maintain excellent relationships with carpet manufacturers so that we can stay up to date on the latest trends in carpet care techniques. We work hard to help you maintain the lifespan of the carpet in your home or office. At ServiceMaster by Williams, we have an extensive history of helping people recover from fire damage. One of the little known problems that is essential in cleaning up fire damage is the need to clean the air ducts afterward to prevent the spread of soot. This experience has made us experts at air duct cleaning. We can provide air duct cleaning services to your business or home. 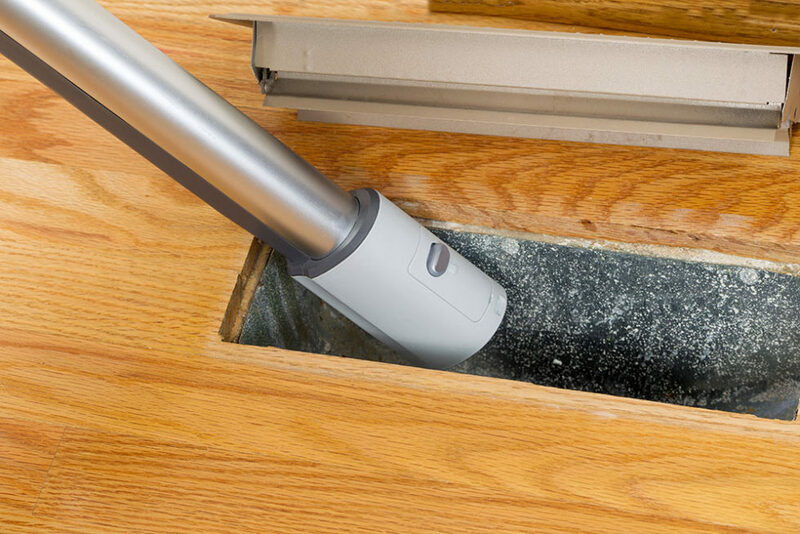 Going years without cleaning the air ducts can not only diminish the efficiency of your building, but it can also create a health hazard for your occupants. The last thing any of us want is to circulate dust, pollen and other contaminates throughout the air in our home or office. Having your air ducts cleaned will improve the air quality. Trust ServiceMaster By Williams to get the job done right. We’re more than just carpet cleaning professionals. We can help restore the luster and shine your hardwood floors as well. We can also bring your vinyl, ceramic, quarry and tile floors back to life. Call us and let us show you what your floors can look like. It’s not just your carpet that gets a lot of traffic and needs a good cleaning. Your furniture could benefit as well. We can help you clean your upholstery from all the accumulated dirt, dust, etc. as well.